There is a certain level of quality we have come to expect from HTC, and picking up the Desire S conveys this at first touch. The phone is somehow compact and sizable enough at the same time, with a reassuring weight and slight heft that renders it neither overly heavy nor unpleasantly bulky. It slides into the palm of one’s hand and seems to comfortably and firmly recline there, as if settling in for the day. The back of the phone has a somewhat rubberised feel, which lends it a sense of stability when held and obviates the sensation that it could accidentally slide out of our grasp. As we have become accustomed to on HTC devices, the phone has a smart elegance appearance wise, with an all black body and discrete touches of silver on the speakers, power and volume buttons. However, it’s what happens when you turn on a device (using a thankfully slightly raised power button on the top) that matters, and on this count, the Desire S does not disappoint. HTC has opted to included that later version of Android’s Gingerbread (2.3.3), and overlay this with its Sense (2.1) interface. At this point HTC knows what it’s doing with Sense, and on the Desire S it shows. The Sense interface flies between integrated social feeds, the best apps arrangement in the business and intuitive accessibility to numerous functions, all while retaining Android’s familiarity. Perhaps the most obvious example of this is the phone’s dashboard ring, which is the home for the phone icon front and centre, and is supported by icons for the apps menu and personalisation menu on the left and right respectively. The virtual dial shows how far to the left or right of centre one has gone when flipping through the seven home screens. It’s a small design touch that could be easily missed, but, on the Desire S, is that much more noticeable for the phone’s more compact form, and highlights how much attention to detail has gone into Sense. Additionally, the four main navigation buttons (Home, Settings, Back and Search) for Android 2.2 or 2.3 are capacitive buttons that vibrate slightly when pressed, to provide feedback that the navigation has registered. We found these to be unobtrusive and responsive, but would have appreciated them more had they been backlit. The only other button found on the phone is the volume rocker on the left hand side of the device. The other aspect that bears mentioning and that easily lifts the Desire S’s interface beyond the ordinary is HTC’s widgets. Simply put, they are beautiful, lifting the phone’s display of information to a different, almost artistic level. Our only gripe with the FriendStream widget – which effortlessly brought in our Facebook streams – was that the refresh button is tiny on the Desire S’s screen. While not a dealbreaker for us, we could well imagine it being frustrating for someone with particularly large fingers, as hitting it occasionally required more than one try. General phone navigation is fast and fluid, thanks in no small part to the 1 GHz Snapdragon CPU, which is joined by 768 MB of RAM and 1.1 GB of internal storage. Of course, this can be expanded with a microSD slot, which is neatly hidden beneath the same slot that holds the battery in place. Additionally, the 3.7” screen, while capturing its fair share of fingerprints, is bright, clear, and offers up saturated and vivid colours that made the most of the Desire S’s screen size and resolution (480 x 800 pixels). The only issue we found with the screen was that it did not hold up well outdoors or in indirect sunlight. In terms of benchmarking performance, in SmartBench 2011, the Desire S scored 987 on the productivity index, which was somewhat better than the LG Optimus Black’s productivity index score score of 829, and 1694 on the games index, which was lower than that same phone’s score of 1922. To our eye, the general functioning of the phone was as smooth and as speedy as we could have hoped for, offering the kind of responsiveness we would expect from a top of the range smartphone. However, the phone did get noticeably warm after extended Wi-Fi use, and we could practically feel the wireless usage drawing on the battery after some time. While it may not be enough to stand alone as a feature, for those who tend to browse the internet on their smartphone, the Desire S boasts the ability to reflow text from websites to fill the screen. For any screen smaller than the 4” mark, this makes a considerable difference, that, when paired with the bright screen, made a bit of internet surfing on the Desire S that much more feasible. Beyond the basic functionality, which the Desire S handles beautifully, it also has a few other features on offer. Along with its VGA front facing camera for video calling, the Desire S is also home to a five megapixel colour camera, with a flawless auto-focus, but which seemed to struggle a little indoors in moderately lit areas. Outdoors was a different story altogether, and the camera rendered sharp, saturated images. As previously mentioned though, the glossy nature of the screen and the fact that it does not hold up well in sunlight (even at maximum brightness) meant taking photos with the camera in sunlight proved to be a challenge. Additionally, the LED flash, while bright, was clearly weighted to one side of the image (typically the left or the top, depending on whether it was a landscape or portrait photo respectively). The phone does also feature 720p video recording, which fared as well as the still camera. Nonetheless, this didn’t sour our experience of the Desire S. Moving into the shade or indoors and engaging the phone’s other functionality reminded us how slick the Desire S is as a smartphone, even if photography is not its strongest suit. The Desire S is another eligible smartphone in HTC’s line-up that looks and performs like a phone that has been on the receiving end of plenty of thought and the proud bearer of an interface that is truly a pleasure to use. All this in a compact yet ‘big enough’ package that slips into the palm of one’s hand and leaves one reluctant to set it down. 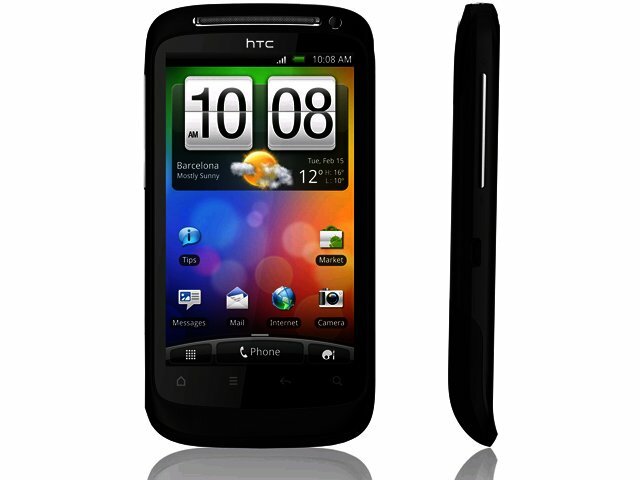 It retails for R4 988, which is a few bucks more than the LG Optimus Black, but in our opinion well worth it.